ADD UPDATE, 11 September 2017: At Eastleigh Borough Council’s full council meeting on 20 July, representatives from environmental groups, local community groups and elected bodies all spoke AGAINST the council’s preferred proposal for its emerging Local Plan, namely a monster housing sprawl (5,200 new homes) and a major new road north of Bishopstoke and Fair Oak and south of Colden Common, Owslebury and Upham (its options B and C). As we return from our summer break, ADD is publishing what these representatives said about options B and C, so that everyone can clearly understand the arguments against them. As we have stated all along, we are fighting for an evidence-based Local Plan for Eastleigh and will continue this struggle until we have won. “My name is Jack Taylor and I campaign for the protection of ancient woods and trees as an employee of the Woodland Trust. “I’m here to speak today on behalf of Eastleigh’s ancient woodland. To some, ancient woodland may not be a well-known concept so I thought I’d start off with an overview of what ancient woodland is. “Ancient woodland is defined as an area that has been continuously wooded since at least 1600AD, though most ancient woods have been around for a lot longer than this, some since the last ice age. “Ancient woods take centuries, even millennia, to develop and evolve into the precious habitat that you see today. Over time vital links have been created between the plants, animals and soils. Ancient woodland provides varied and unique habitats for many of the UK’s most important and threatened species, whether that’s English bluebells, Wild Garlic, or Bechstein’s bats. “These species are sensitive. They don’t respond well to environmental change and they need the specific conditions that ancient woodland provides. “Ancient woodland cannot be re-created. There is no gain in ancient woodland in this day, only loss. At present ancient woods cover only 2% of the UK so it is vitally important that we prevent any further damage, loss or fragmentation of these habitats. “Where development is built near to ancient woodland, the populations of plants and animals that call the woods home can be heavily impacted. In this case, the proposals within Option B and C would result in 5,200 houses being built in very close proximity to a number of areas of ancient woodland, including Crowdhill Copse, Upper Barn Copse and Stoke Park Wood. The intensification of human activity… so littering, vegetation damage, fire damage and disturbance to breeding birds. Noise and light pollution from adjacent housing, as well as dust and vibration during the construction phases. Changes to the quality and quantity of ground water and surface water, with the added effect of introducing pollutants into the woods. Harmful invasive species into the woods, such as rhododendron which takes a stranglehold on the rest of the wood’s diversity. “When these edge effects penetrate ancient woodland they affect the woods’ typically stable conditions. By creating new areas of woodland around ancient woodland we can shield them from the harmful edge effects. We call these areas ‘buffer zones’. The size of the buffer zone is dependent on the intensity of land use adjacent to ancient woodland. In other cases with 1000s of houses we typically call on developers to provide buffers of at least 100 metres. What impacts the proposals will have? “One of the biggest concerns, particularly in the case of this development, is the issue of fragmentation. Introducing urban areas and a whole new stretch of road into the natural environment can be highly damaging to the connectivity of all the different habitats. In this case the impacts of fragmentation would be severe. “Councils and local authorities around the UK need to be looking at building more resilient landscapes, not less. They need to increase woodland and tree cover, strengthen existing connections between habitats and start creating a network of green infrastructure. And they need to do this in line with future development. We are concerned that Options B and C would be a clear step back from these sustainable development principles. 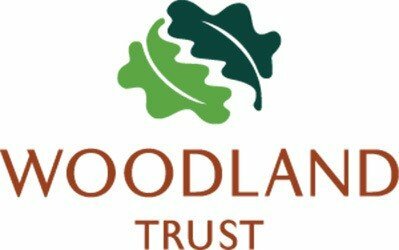 “At the Woodland Trust we have over 700 ancient woods currently under threat from development. I’m here today because Options B and C are of such concern to us. Hundreds of our local supporters have already urged you to reject development next to these woods. I’d hope you will now join them and protect them for future generations to enjoy.